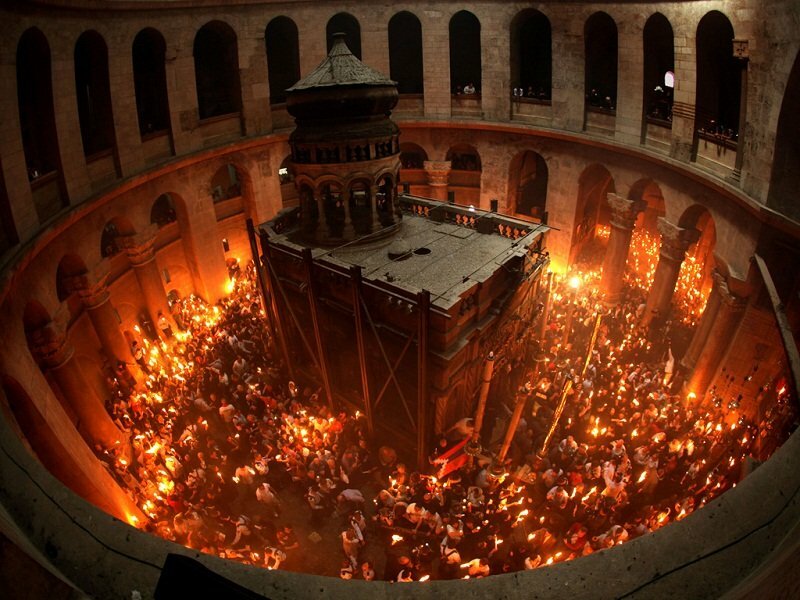 Easter’s Holy Fire ceremony has been celebrated at the Church of the Holy Sepulchre in Jerusalem. The Holy Fire is considered a miracle occurring every year on Holy Saturday, the day before Easter Sunday. Orthodox worshippers say the flame appears from Jesus’ tomb inside the church to show He has not forgotten his followers. The ancient church is believed to be built on the site of his crucifixion, burial and resurrection. In keeping with tradition, Church of the Holy Sepulchre was unlocked by a Muslim family which has held the keys for centuries. Meanwhile in Rome, Pope Francis called on Catholics to spread the message of God “to the very ends of the Earth”. Pope Francis called on Catholics to recover “the fire which Jesus has kindled in the world and to bring that fire to all people”. The pontiff was addressing followers at an Easter vigil Mass in St Peter’s Basilica on Saturday. The Catholic Church’s main Easter Mass will be celebrated on Easter Sunday, the holiest day in the church’s calendar.